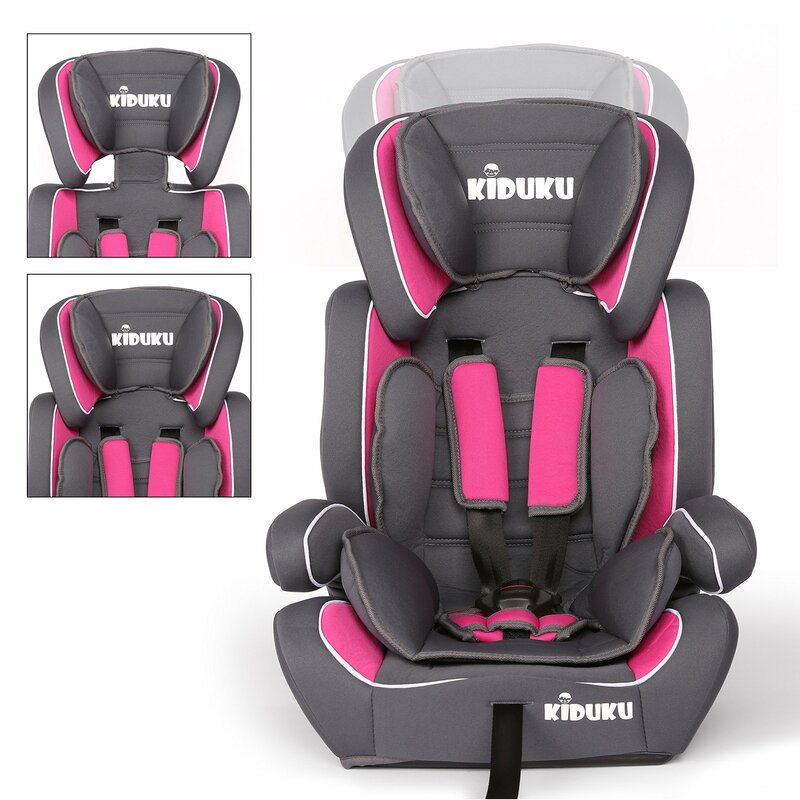 The sporty KIDUKU car child seat is equipped with a five-point harness which is individually adjustable to the body height of your child. The seat-belt tensioner system is well thought-out and height adjustable. 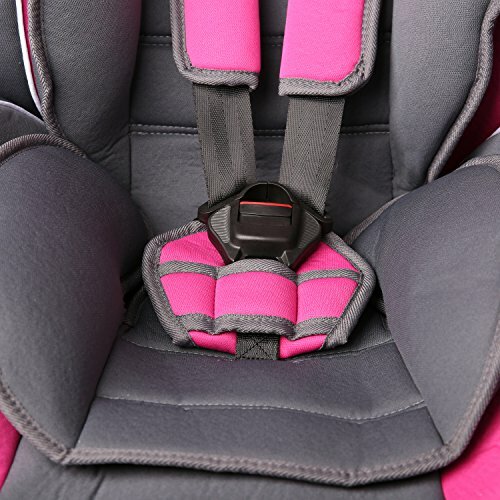 While your child is sitting in the safety seat you lock the 5-point belt and tighten all the belts through the central belt under the seat shell. The security lock can be adjusted about 6 cm backwards or forwards, according to the size of the child. Our seat has an orange ECE R44 / 04 approval label and fulfils all European safety standards. Suitable for Age Group 1/2/3. Safe: to open the safety lock the strength of an adult is needed. The release unit of the seat-belt tensioner remains hidden from your kids. 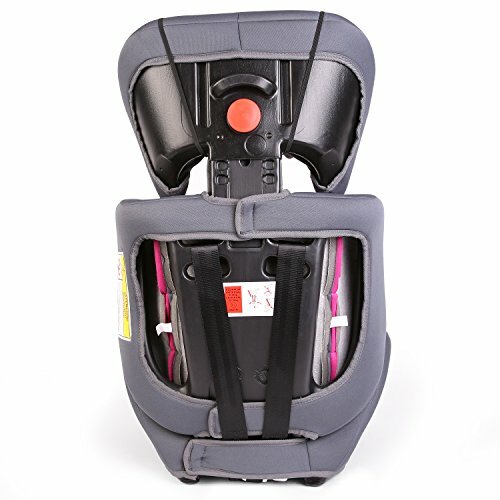 The harness chest clips are equipped with pads for an additional comfort. 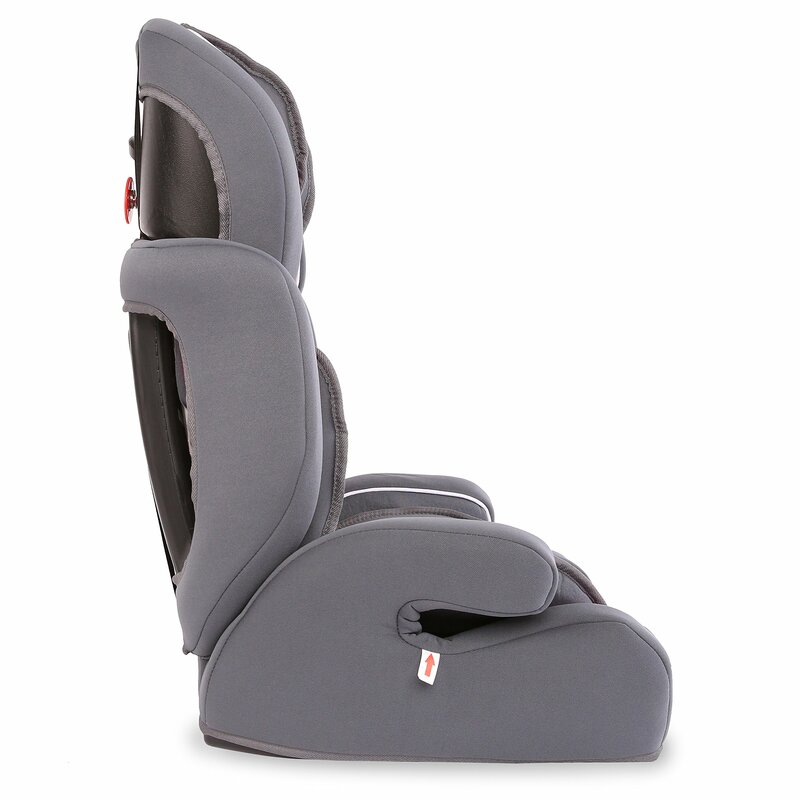 The seat has to be fastened exclusively with the adult’s belt – no ISOFIX system required. The KIDUKU child car seat grows with your kid and its seat is adapted from motor racing due to the bucket seat (providing extra side support). The inner seat pan for toddlers can be removed, as well as the back support, so that only the bottom seat can be used. 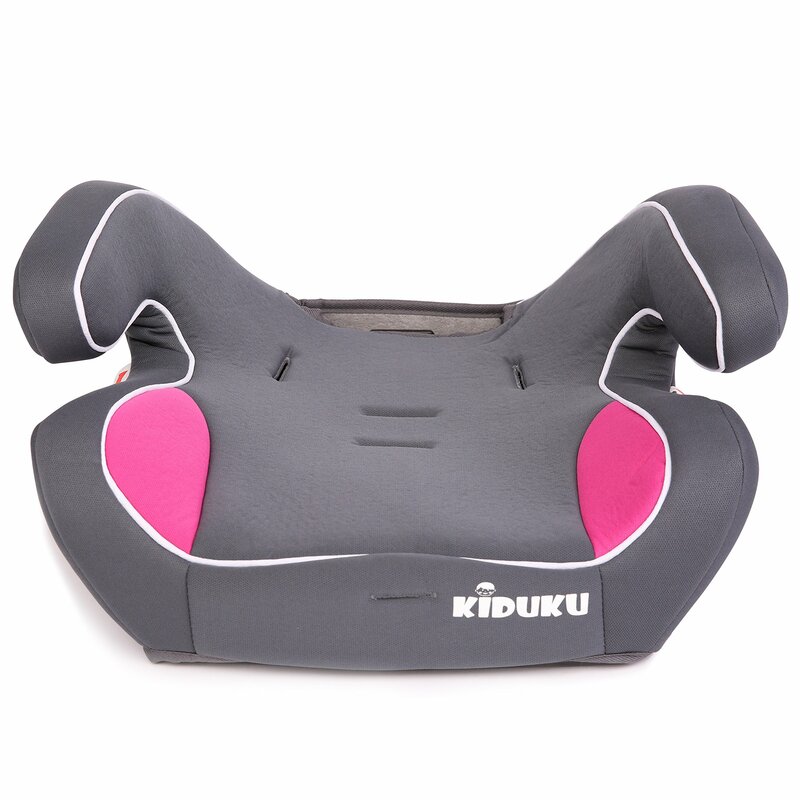 The headrest is height adjustable up to 6 cm. 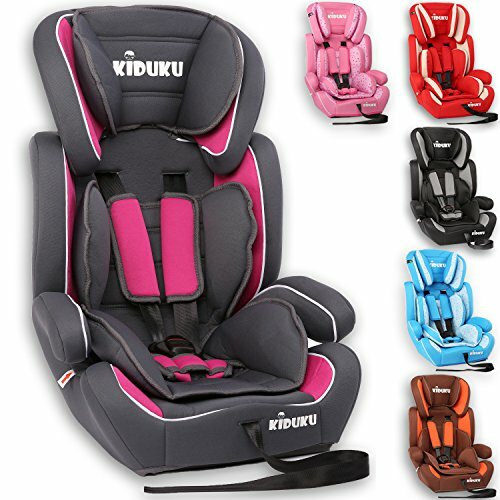 The safety-relevant components are made of high-density polyethylene. 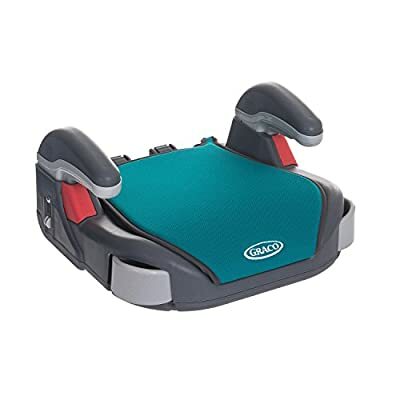 The seat pads are removable and can be washed at 30°C. 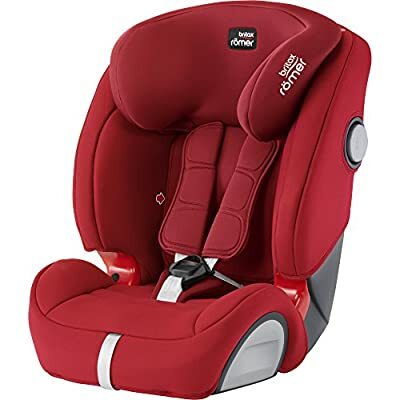 Very easy installation: first lay the belt under one of the arm rests (red arrow), then through the harness slot (red arrow), behind the seat, again through a harness slot (red arrow), then under the other arm rest and finally into the buckle. 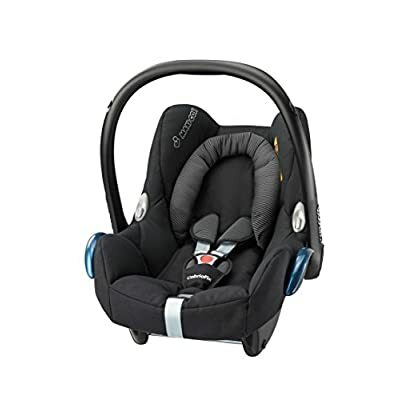 Dimensions at a glance: total height 64 cm – 70 cm (varies by adjustable headrest). Maximum width approx. 46 cm. Maximum seat width 33 cm. 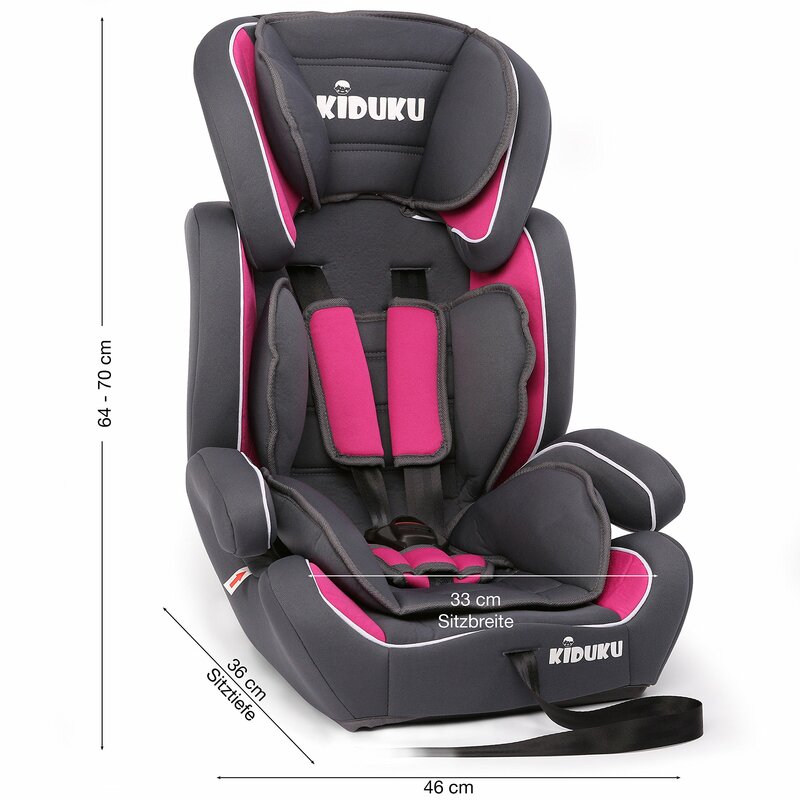 Maximum seat inside height 65 cm. Seat depth approx. 36 cm.